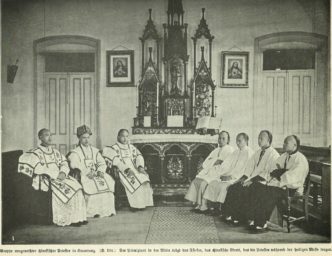 Varia – I komu to przeszkadzało? 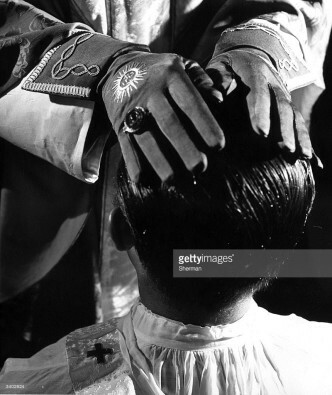 A bishop imposing his hands on a head of a deacon while conferring priestly ordination, 50s of the 20th century. 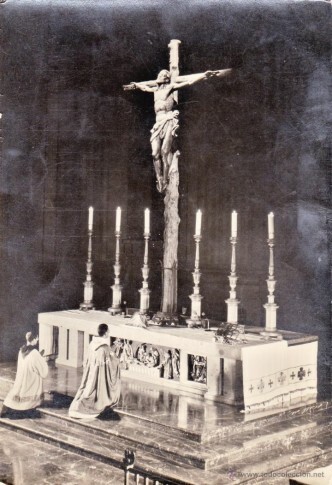 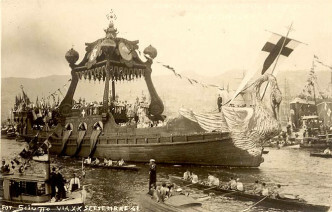 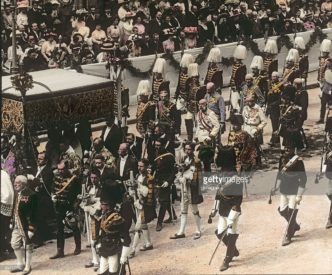 Maritime Eucharistic procession during the 7th National Eucharistic Congress in Genoa, September 1923. 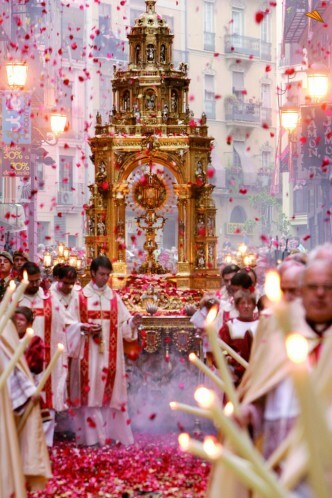 The Corpus Christi procession in Valencia. 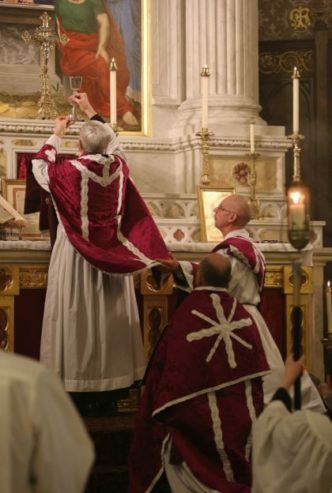 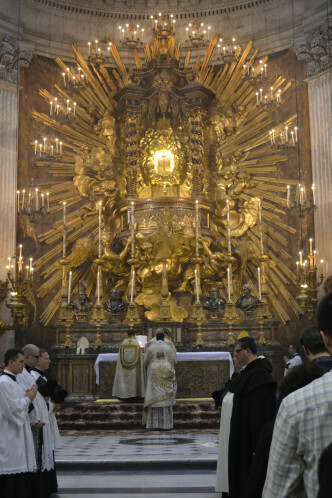 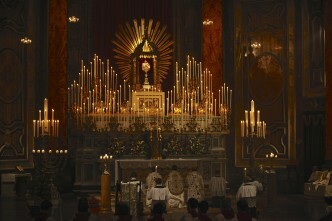 The exposition of the Blessed Sacrament during the 40 Hours Devotion in Brompton Oratory. 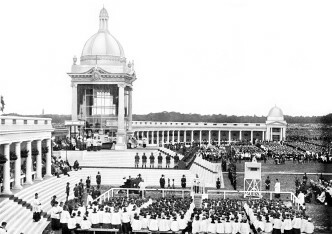 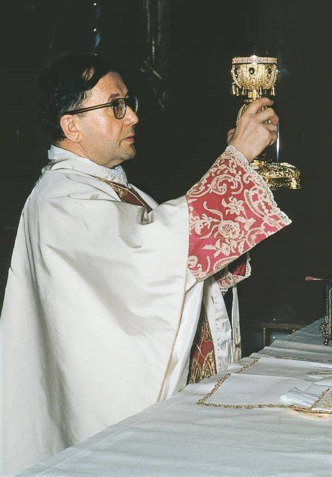 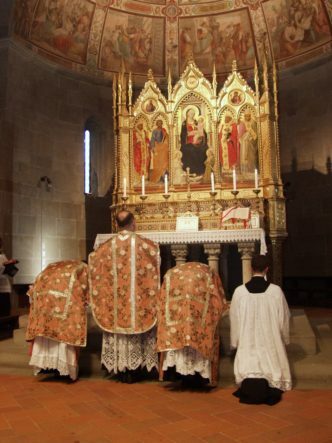 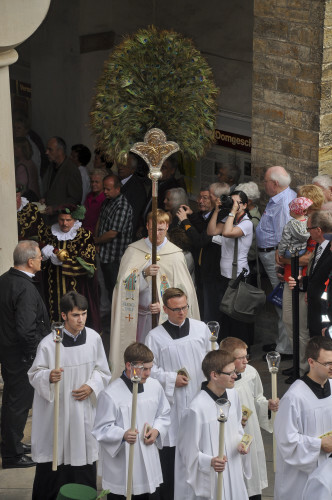 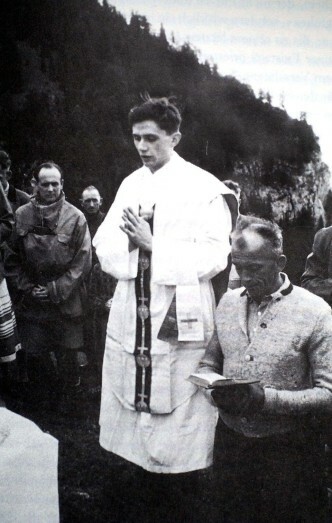 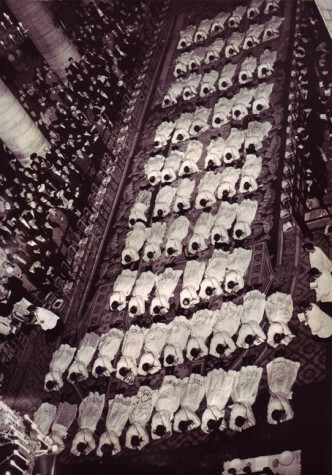 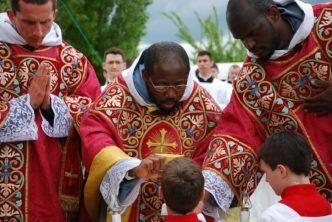 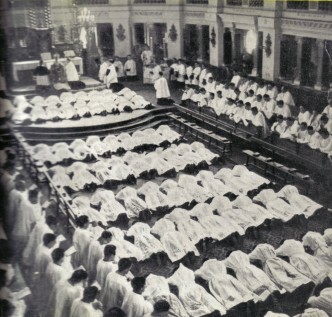 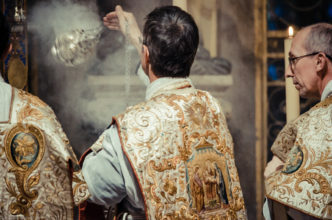 Ordination in the seminary of St. Sulpice, Issy-les-Moulineaux, France [the photo from Catholic Conclave]. 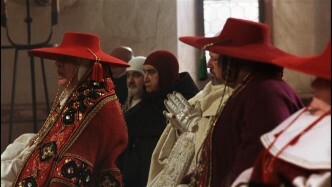 A shot from the film Name of the Rose.